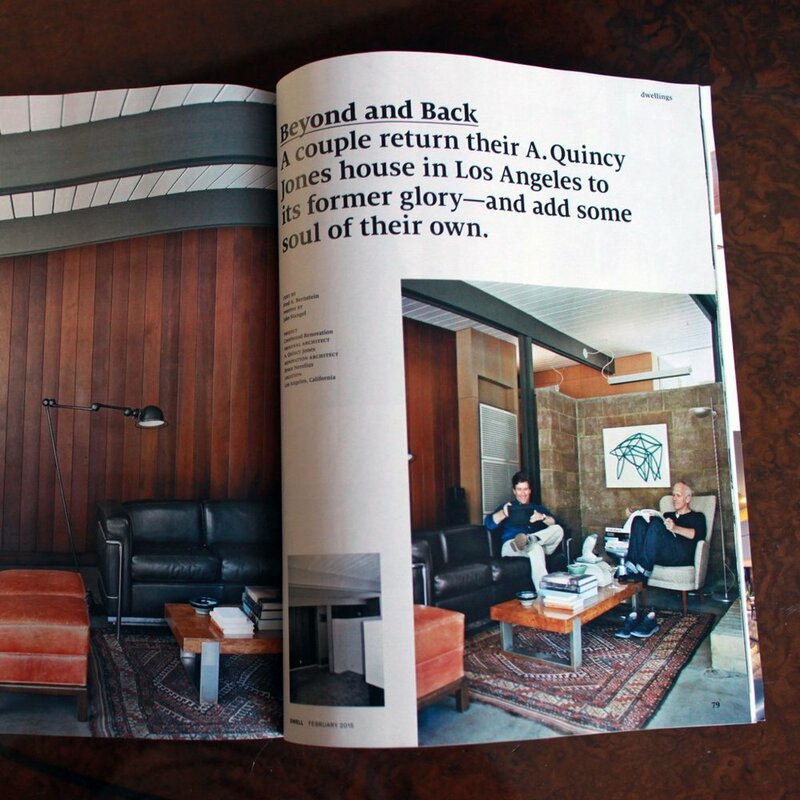 This month, our house and studio in Los Angeles joins the ranks of houses to be featured in Dwell Magazine. Dwell’s moniker is “At Home in the Modern World”, and we’re proud to partake in their exploration of defining modernism in the 21st century. The story told in their February issue is of our renovation of the 1949 Gelb house designed by A. Quincy Jones, which was part of the innovative Crestwood Hills development in Brentwood. We’re just the second owners of this house, and so we’ve worked hard to preserve the integrity of the house while updating its infrastructure and finishes. The story is by respected architectural journalist Fred Bernstein of New York, and photos by Jake Stangel of San Francisco.